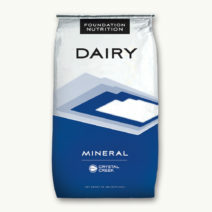 Saf-Cal™ provides a bioavailable source of key minerals, energy and botanical flavoring for ruminants requiring additional calcium and energy. Saf-Cal™ is more than just a source of calcium. Saf-Cal™ is a balanced dietary supplement to support optimum performance for postpartum cows. 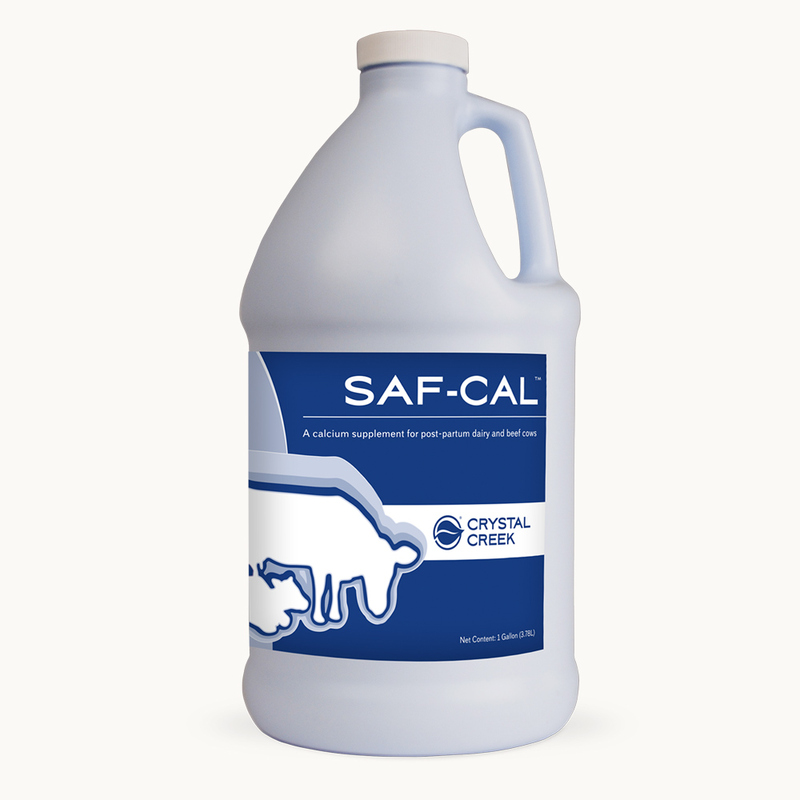 Saf-Cal™ contains no calcium chloride and will not burn or damage the sensitive esophageal lining or digestive tract of the dairy cow. • High Level of Bioavailable Calcium: Especially helpful for post-partum cows. 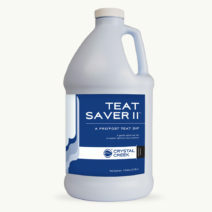 • Energy Source: Saf-Cal™ provides a bioavailable source of critical energy to post-partum cows when they need it most. 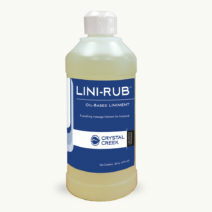 • High Level of Stabilized Vitamin C: Each 10 oz. dose of Saf-Cal™ contains as much Vitamin C as 8cc of a typical Vitamin C injection. Vitamin C is an antioxidant that has been shown to be helpful to animals under stress and assists with calcium utilization. Calcium (Min.) 160 g. Magnesium (Min.) 6,880 mg Vitamin C (Min.) 24 g.
Calcium (Min.) 20 g. Magnesium (Min.) 860 mg Vitamin C (Min.) 3 g.
Administer 1 oz per 100 lb. of body weight orally to a post-partum ruminant, one to two times per day as needed. For best results space doses during the day. Shake well before using. CAUTION: Avoid administration into the trachea or lungs. Not for human use.